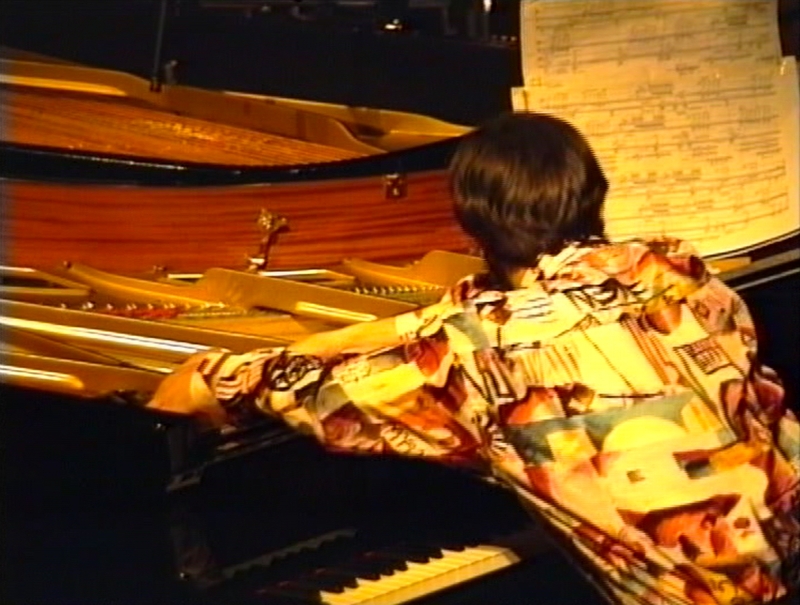 Besides a vast repertoire of classical music, throughout his career, Rubén Lorenzo has performed prominent pieces of contemporary piano such as the premiere of the complete volumes of the Makrokosmos by George Crumb. 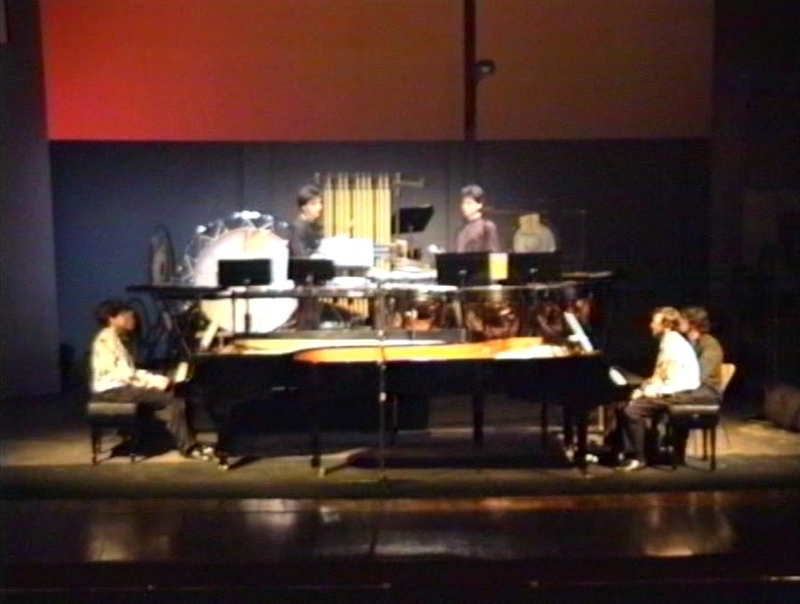 Other pieces have been worldwide premieres and some of them have been dedicated pieces. In this section you will find a brief list of the work by the artist in these styles. Charles, A.: Convex II. Available on CD. 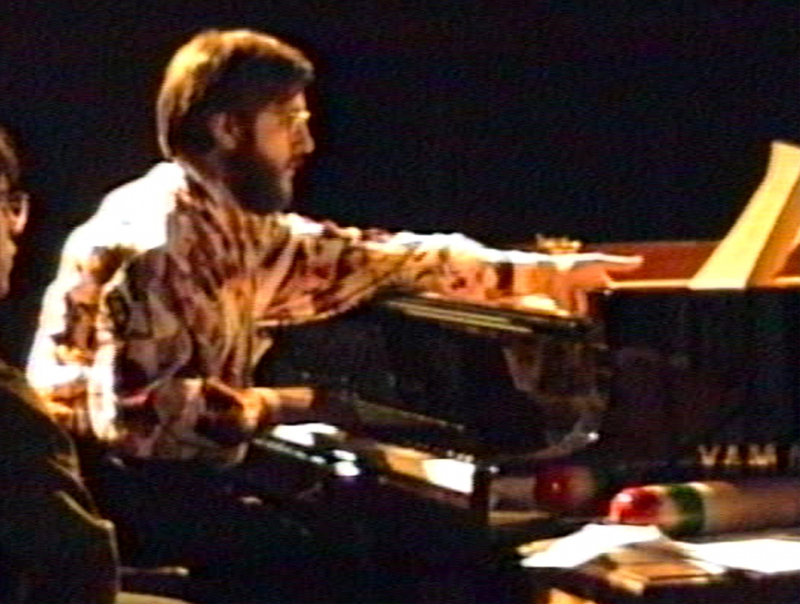 Fernández Álvez, G.: Sonatina. Dedicated piece. Pérez Ferrer, F.: Larghetto. Grabación disponible en CD. Dedicated piece. Pérez Ferrer, F.: Aire Brasileño. Grabación disponible en CD. Dedicated piece. Rebullida, V.: Música en el espejo. Dedicated piece. Remiro, M. A.: Tenerias II (Siguiriya Bachiana no.2). Dedicated piece. Salanova, A.: Perifrasis IV. Dedicated piece. Crumb, G.: Makrokosmos (4 volumes). 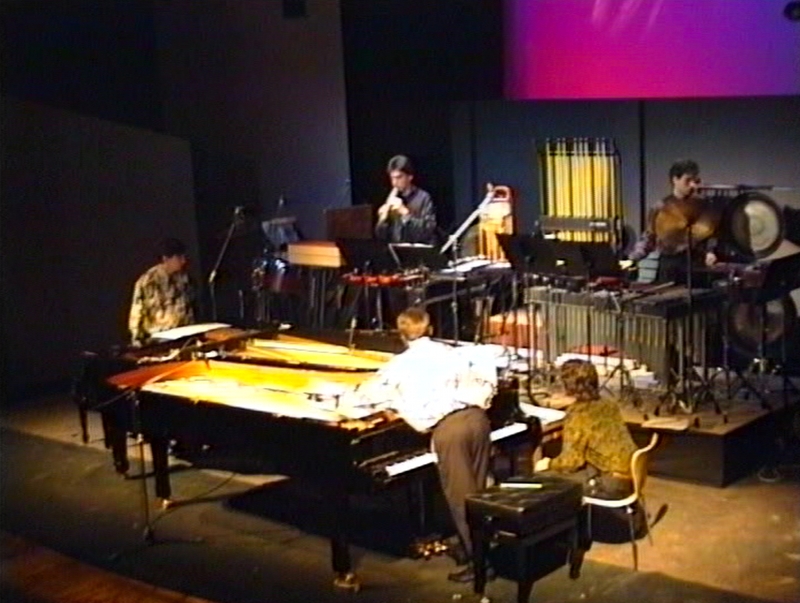 Pictures of the premiere in Spain of Makrokosmos III, by G. Crumb, at the Teatro Principal de Zaragoza in 1992 with Luis Avedaño (piano), Miguel Ángel Bernat (percussion) y Manel Ramada (percussion).